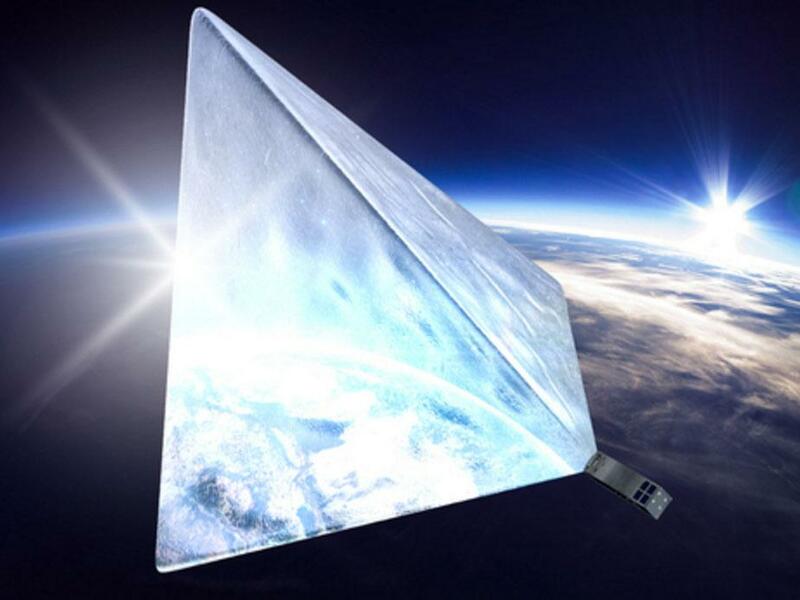 The “Mayak” or “Beacon” satellite is becoming one of the most successful crowd funding campaigns in Russia. Introduced by a group of aerospace engineers and supporters from Moscow’s University of Mechanical Engineering (MAMI), the campaign is currently in its final stages and is being tested before it is launched into space by the Soyuz-2 carrier rocket. On Thursday the team declared they have raised more than 1.5 million rubles ($19,650) on the Boomstarter crowd funding platform, letting them to finish the next stage of the satellite’s flight testing. The campaign has currently raised 1.87 million rubles from more than 2,000 patrons and is on the way to its next funding goal, which is to generate another model of Mayak for Moscow’s Museum of Cosmonautics, where they presented their spacecraft to the public at a lecture just last week. Once the Mayak is in orbit above the earth, it will completely change shape. The satellite will disclose a 16 square meter pyramid of reflectors that will reflect the Sun’s rays. This will basically generate a super-bright man-made star that anyone can follow using just a smartphone app. The Russian space agency ‘Roscosmos’ already confirmed that Soyuz-2 may carry Mayak into space as early as this summer, Soyuz-2 is also scheduled to carry the Kanopus-V-IK satellite into space to take images of forest fires.